The move to France was made on 10th January, when the 3rd Battalion travelled in 3 trains from Warminster to Southampton, the first train leaving at 8.50 a.m. and the others at two hourly intervals. The 4th Battalion had crossed the Channel via Folkestone and Boulogne on the previous day, sailing in a small paddle steamer accompanied by a destroyer. Headquarters and the other three Battalions travelled via Southampton and Le Havre. On arrival at Le Havre, at 7 a.m. on 11th January, the 3rd Battalion marched the 4 miles to No.1 Base Camp. Noon on the following day found them on two trains heading across France. The first train arrived at the village of Blendeeques, south of St. Omer, at 9 a.m. the next morning. The soldiers it had carried marched off to the east at 11 a.m., covering the 5 miles to their billets at Racquinghem in 3 hours. The second train arrived at Wizernes, a few miles to the west of St. Omer, at 2 p.m. The men on this train having a longer march of 7 miles, reached the billets at 6 p.m. Ten days were spent in these billets, during which time the men undertook a number of route marches, and also some musketry. There was a break in this routine on 16th January, a Sunday, when the men attended church parades in the morning and washed their clothes or played football in the afternoon. At 11 a.m. on the 20th January, the whole of 34th Division formed up near the village of Belle Croix, on the Aire - St. Omer road, and after standing for some time in a cold wind and showers of rain, at about 2 p.m. General Joffre passed slowly along the line in his car. The troops then dispersed back to their billets where, fortunately, a hot meal was waiting for them. On 23rd January the Brigade was on the move again, this time to Steenbecque. The 3rd Battalion moved off from Racquinghem at 7.30 a.m., passing through Blaringhem and Les Ciseaux, reaching their destination, No.3 Camp, at 11.45 a.m. having marched some 8 miles. On the following day the Commander of III Corps, Lt-Gen Pulteney, made a surprise visit, the Brigade having 50 minutes notice to form up in a nearby field. After his inspection the General gave a short speech of welcome. A few days later the Brigade was again inspected, this time by Lord Kitchener himself. Officially he was to inspect the Tyneside Irish, but when Ternan heard of this, he lined the Tyneside Scottish up on the road that Kitchener was to travel along. The two men knew each other, having served together in the Egyptian Army and South Africa, and Ternan stopped the car and asked Kitchener if he would like to inspect the Brigade, which he duly did. This caused some ill-feeling with the Tyneside Irish, who were kept waiting for their inspection. During the eight days that the Brigade spent at Steenbecque, General Ternan and Brigadier-General Fitton, the Commanding Officer of the Tyneside Irish, spent a short time in the front line trenches with 16th Brigade, near Ypres. Estaires, which they reached on 1st February. On 1st February the whole Battalion was again on the move, leaving Steenbecque at 9 a.m. and passing through Point Levis, Le Parc, Le Prevain and Neuf Barquin, arriving in billets at Estaires at 3.30 p.m., a distance of 15 miles. They were now some 12 miles behind the front line, more or less to the west of Armentieres. On the 2nd February the Battalion was formally attached to 25th Brigade for purposes of familiarisation with front-line trench duties. 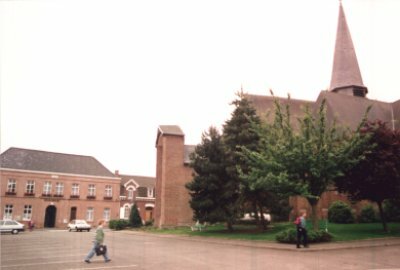 That afternoon they marched a further five miles to Rue du Bois, about 2 miles south-west of Armentieres, where they became part of the Brigade Reserve. Officers and NCOs spent the following day in the trenches, and then between 4th and 7th February each Company spent two 24-hour sessions in the trenches, sharing them variously with 1st Royal Irish Rifles, 2nd Royal Berkshires and 2nd Lincolns. As well as experiencing a taste of trench life, the 3rd Battalion also suffered its first recorded casualties. A private from 'A' Company was slightly wounded, as was a Captain Sibbitt. Captain McClay was concussed from shell burst, and a private from 'B' Company was shot accidentally, dying later in hospital. 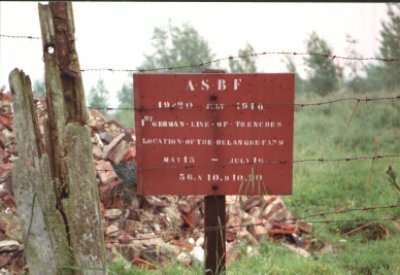 of Rue du Bois, some miles south of Armentieres. After the initial introduction to the trenches, 8th February saw the 3rd Battalion marching back to their billets at Estaires, arriving by 6.45 p.m. On the following day they had moved back to Steenbecque, where they remained for three days. On the 13th the 102nd Brigade returned to Estaires, following the same route as earlier in the month, and on the following day the Tyneside Scottish took over a section of trenches, more or less in the same location as previously, from the 25th Division, being temporarily attached to 8th Division. The 3rd Tyneside Scottish took over their trenches from the 2nd Berkshire Regiment, their left flank being held by the 2nd Battalion Yorks and Lancs, with the 2nd Tyneside Scottish on the right flank. Thus began the Battalion's first ten days of trench routine. The routine was one which was to become familiar to all soldiers who served on the Western Front. Behind the line men lived in barns or tents, officers being billeted in houses. Beds or bunks were unknown, the men sleeping on the ground or on straw. Within a few days everyone was covered with lice and fleas which could not be got rid of until the return to England. When stationed nearer the front line, shell fire forced men into dugouts in the ground or into cellars of ruined buildings. In certain areas, movement on the roads, if any were left, brought in an immediate hail of shells. Hence, all work tended to be done at night. For the fighting men in the front line, the situation was much worse. Each unit would spend a period in the first line trench. This entailed leaving most of their kit behind at the transport area perhaps 2 or 3 miles behind the front. Then, encumbered with extra ammunition, hand grenades, entrenching tools and other items for survival, often weighing 60-70 pounds, they would march forward at night to take over the trench within 50-300 yards of the German lines. The last mile or more of the approach might itself be along a communication trench, knee deep in water. Once in the front line trench they would have to stay there day and night until relieved in 4 to 15 days. The daily routine began before dawn when the men were ordered to "stand to" and man the fire-step in case of a German attack at first light. This was sometimes accompanied by what was called "morning hate" when both sides fired off small arms ammunition at each other, usually without causing casualties. After "stand to" men prepared breakfast over small fires, shaved and washed if possible. The rest of the day was spent relaxing or trying to catch up on sleep, not easy with people constantly moving through the trenches, officers inspecting, odd jobs being done and an occasional shell arriving. Dusk saw a repeat of the dawn "stand to" and "hate" followed by the issue of the daily rum ration, except in areas where commanders refused to allow this, such as on religious grounds. After dark work began repairing trenches, fetching up stores, and sending patrols into No-Man's Land. Sentries were posted in the trenches to guard against German patrols, a man's turn on guard lasting two hours at a time. This continued until the next dawn "stand-to" started the routine off again. The men of the Tyneside Scottish soon found that the real thing was a far cry from the "ideal" trench they had learnt about on the moors behind Alnwick. When relieved from front line duty the unit retired to a second line perhaps 100-200 yards to the rear where living conditions were a little better. Here they were often called upon at night to come forward in order to help with the nightly task of repairing the defences. Food for both lines would be brought up by fatigue parties from the cooks stationed near the transport. This often took 2-3 hours due to the mud and shell fire. Their turn of duty in the trenches finished, the unit would retire to the rear area and try to relax. Here they still had to sleep in dugouts and cellars as they were within shelling range. Nights were spent moving supplies up to the front line from rearward depots or providing working parties to repair or make roads and railways. With luck the men might be able to get to a bath house during this time. Here they got a hot shower and a change of underwear; however, the fleas always survived the cleaning! After a week or ten days the cycle would repeat itself. After one or two months the whole unit would withdraw several miles, usually beyond shelling range. Here they could rest, train and help with transport and repairs. With luck they could live in barns etc. above ground and move freely at all times. The whole cycle would repeat itself after about a month. At less frequent intervals, the Division and then the Corps would be withdrawn into reserve so that all units contained within them could enjoy a period well away from the Front. The time was spent in training or rehearsing new attacks. All these moves were made after careful planning and issuing of Movement Orders, vital to avoid confusion on the already crowded trench and road systems. This routine can be followed in the War Diaries of the Tyneside Scottish. On 15th and 16th February the 3rd Tyneside Scottish, in the front line, reported quiet days, although their artillery bombarded the Germans for about half an hour on both nights. On 17th the Battalion was relieved by the 4th Tyneside Scottish, moving back to their reserve area at Croix Blanche, some 200 yards behind the front line. 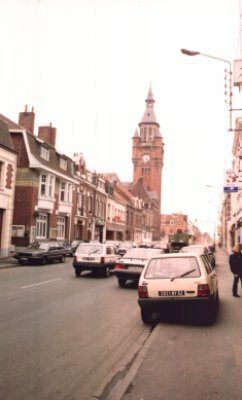 They remained here until 21st February, when they were relieved by the 2nd Royal Berkshires, marching off at 5.40 p.m. Fleurbaix, about a mile behind the front line. Here they were billeted in Rue Quesnoy (Rue Duquesne on modern maps). D Company remained at the front until the following day. Four days later, on 25th February, the Brigade relieved the 68th Infantry Brigade, rejoining 34th Division. The Tynesiders then marched to new billets in Rue Dormoire, a further mile or so away from the front line. They remained here for eight days. end of the line of trenches held by the unit at the time of his death. During this initial period in the trenches the 3rd Tyneside Scottish suffered a few casualties. 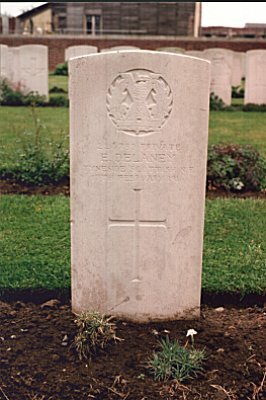 Private C Delaney was killed accidentally; his headstone is in the Petillon Road cemetery, at the site of the north end of the line of trenches held by the unit at the time. On the same day the Battalion lost Privates A Harvey and J Parkin, and on 24th Private Cole was killed. Private Anderson was wounded on 17th, and 2nd Lt Scott on 19th.